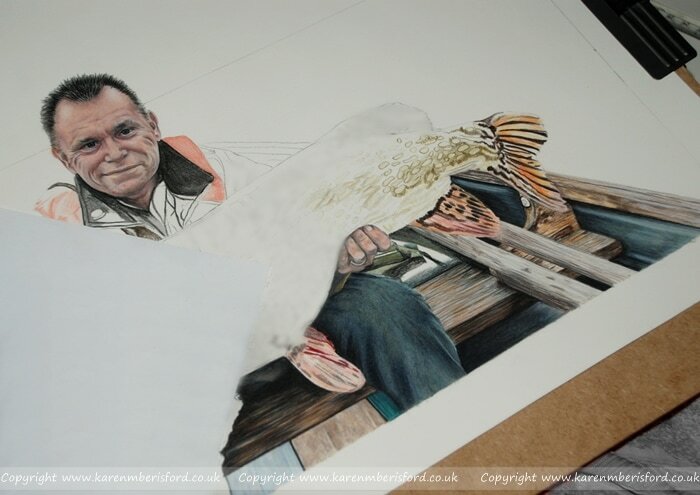 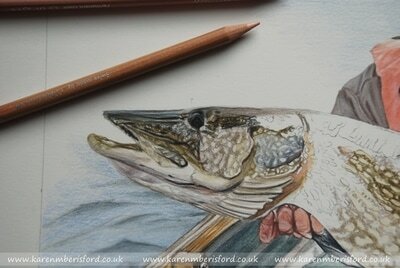 Gary contacted me wishing to commission a pencil portrait of a Pike he had caught whilst on a fishing trip. An 11" x 17" portrait size was chosen as this allowed plenty of opportunity for lots of fine detail which would offer far more impact, a shadow background was also chosen so as not to overpower the main subject. 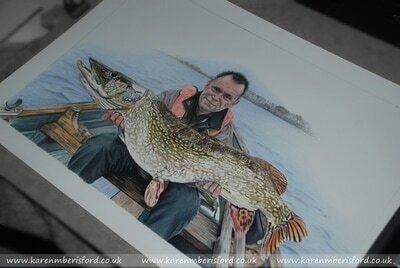 For those interested, the pike weighed in at 35lbs and 6oz!! 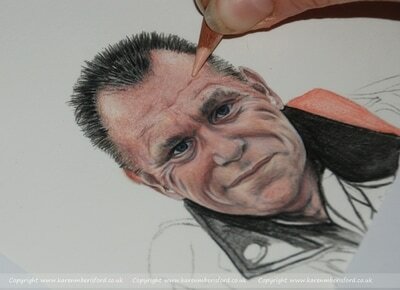 I began the portrait working on Gary's face to ensure this was completed first before moving on to anything else and then began work on the base layers. Some of the items in the original photo such as the fishing rod and any other unnecessary items were left out of the Artwork as I felt these would detract from the focal point of the Pike and so parts of the inner section of the boat were created using Artist Licence. 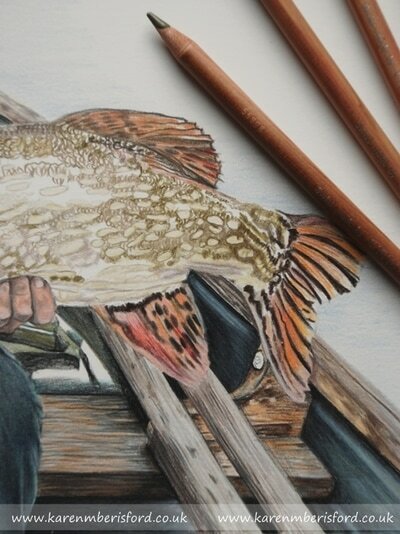 Layering the base layers take the longest as every section must be covered before I can even begin adding the finer layers. 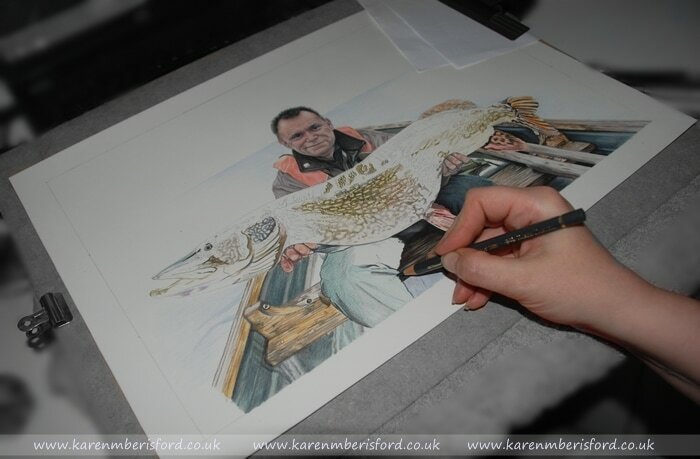 As you can imagine, the fish scales took the longest to complete as every single detail was applied individually, once the base layers were down, I then set to work defining the markings before going on to refining the colouration. 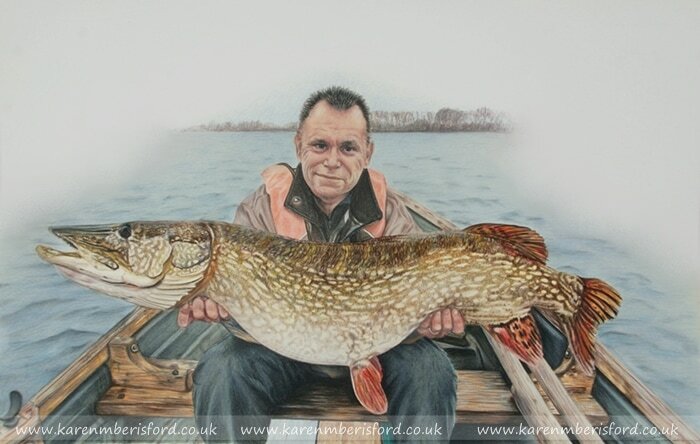 The background was the final thing to create, it was applied rather loosely to keep it simple yet represent that very moment the photograph of gary and his fantastic catch was captured.